Holy crap we're in Hungary! 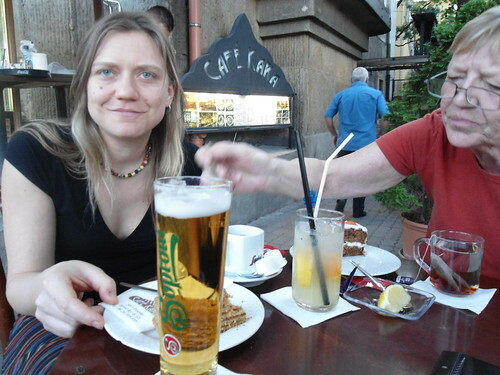 And who knew that Budapest was such a fantastic city?!? It's like Paris, but without the French getting in everyone's way. Cafe Kara is a Turkish cafe very close to Heroes' Square (pictured above), and the perfect place to sit outside and enjoy a beverage (or a shisha) on a warm evening. 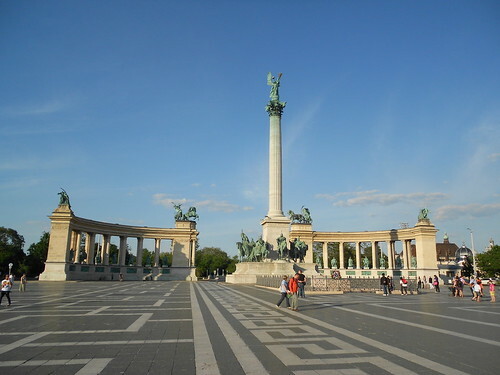 It is right on Andrássy, quite likely the most beautiful boulevard I have ever walked along. So extraordinarily beautiful is this street, the entire avenue was declared a UNESCO world heritage site in 2002. I enjoyed a Soproni on tap. Soproni is a pale lager brewed by Heineken Hungária/Soprony Brewery of Sopron, Hungary. 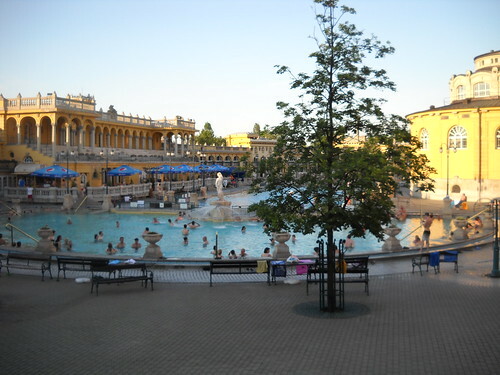 Budapest has a charming metro, a castle on a mountain, a funicular, and mineral baths! According to Meghan, Paris is officially on notice.